In a new study, researchers have taken another small step towards deep space exploration. They tested a new silver- and ruthenium-based antimicrobial coating aboard the International Space Station (ISS). They found that a new antimicrobial coating AGXX® could dramatically cut the number of bacteria on contamination. This may help protect future astronauts in space travel missions beyond the moon and Mars. The study was done by researchers from Beuth University of Applied Sciences. Previous research had found that extreme spaceflight conditions can turn harmless bacteria into potential pathogens. The bacteria may develop thick protective coatings and resistance to antibiotics and grow faster. Moreover, different species of bacteria can share the genes responsible for these new traits. This will lead to a new bad super bacteria. At the same time, the microgravity, cosmic radiation, and psychological stress could lower the immune functions of the isolated astronauts and make them easy to be harmed by infections. In the current study, the team aimed to solve the problem. They tested AGXX® on the toilet door in ISS. It is a contamination-prone surface. According to the research team, AGXX® contains silver and ruthenium, conditioned by a vitamin derivative. It can kill all kinds of bacteria as well as certain fungi, yeasts, and viruses. It is like bleach, but the coating is self-regenerating so it is never used up. The team found the AGXX® coating was highly effective in the experiment. 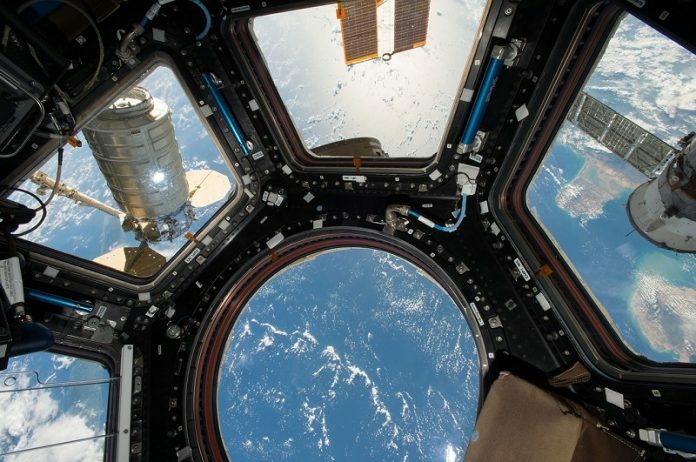 After 6 months of exposure on the ISS, no bacteria were recovered from AGXX®-coated surfaces. At 12 and 19 months, a total of only 12 bacteria was recovered. This is a reduction of 80% compared to bare steel. This is much better than a regular silver coating tested for comparison. The regular coating only reduced the number of bacteria by 30% versus steel. The team also found no serious human pathogens were observed on any surface. This means the infection risk for the ISS crew is low. In their future work, the team will continue to develop new approaches to combat bacterial infections. They hope their new finding could contribute to longer missions to Mars and beyond. The study is published in Frontiers in Microbiology.